Santa Clara County Bar Assoc. Nat'l Assoc. of Consumer Bankruptcy Attys. 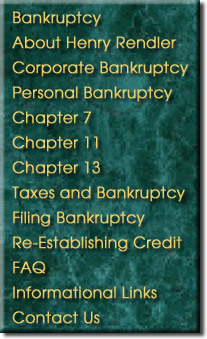 If you would like more information concerning personal bankruptcy or other related legal matters in the State of California, Attorney Henry Rendler is available in San Jose for consultation. Please feel free to call 408.293.5112 to set up an appointment.